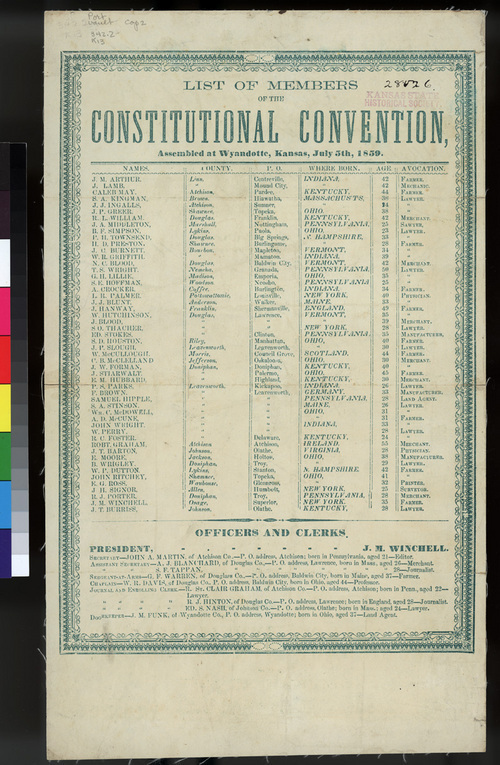 A list of the members who attended the Constitutional Convention at Wyandotte, Kansas Territory, on July 5, 1859. The list identifies each member's name, county, city, birthplace, age, and vocation. It also lists the officers and clerks.